New Delhi: Speculation over a post-poll scenario brings forth heavy hitters from the regions, sometimes derisively called political weathercocks. So expect their actions and statements to be dissected for hidden meaning. They had been relegated to the fringes after 2014 but appear to be fancying their chances once again in 2019. Y.S. Jagan Mohan Reddy of YSR Congress Party, who is nipping away at the heels of Andhra Pradesh Chief Minister N. Chandrababu Naidu, is a key player in state politics. However, he could be positioning himself for a possible role at the national level — going by his recent remarks, where he said he had forgiven the Congress but also praised Prime Minister Narendra Modi. The YSR Congress Party did not fare well in 2014 in terms of seats won in the Assembly and the Lok Sabha but was right up there with Naidu’s Telugu Desam Party (TDP) in terms of vote percentage. This is what provided the launch pad for his key position in Andhra Pradesh politics. The YSR Congress Party won eight Lok Sabha seats to the Telugu Desam’s 15 but was ahead on voting percentage — 45.38 per cent to the TDP’s 40.53 per cent. In the Assembly elections, it was just about at the same level, cornering 44.4 per cent of the vote to the TDP’s 44.6 per cent. This is where Jagan’s strength comes from. If this vote base translates into seats, Reddy could be a big player if the Lok Sabha polls do not throw up a clear winner at the Centre. His rise is inversely proportional to Naidu’s political fortunes. A combination of the prominent Kapu vote, Jana Sena leader Pawan Kalyan’s rise — he is a Kapu — and the party’s alliance with the Bahujan Samaj Party could make things difficult for Naidu. In 2014, the BJP and Pawan Kalyan had helped Naidu win by the skin of his teeth. The records will show that the TDP won 102 of 175 Assembly seats with YSR Congress Party winning 66, but as shown earlier, the two parties were at the same level in terms of vote percentage. Now, Naidu is without the BJP and Pawan Kalyan’s support. 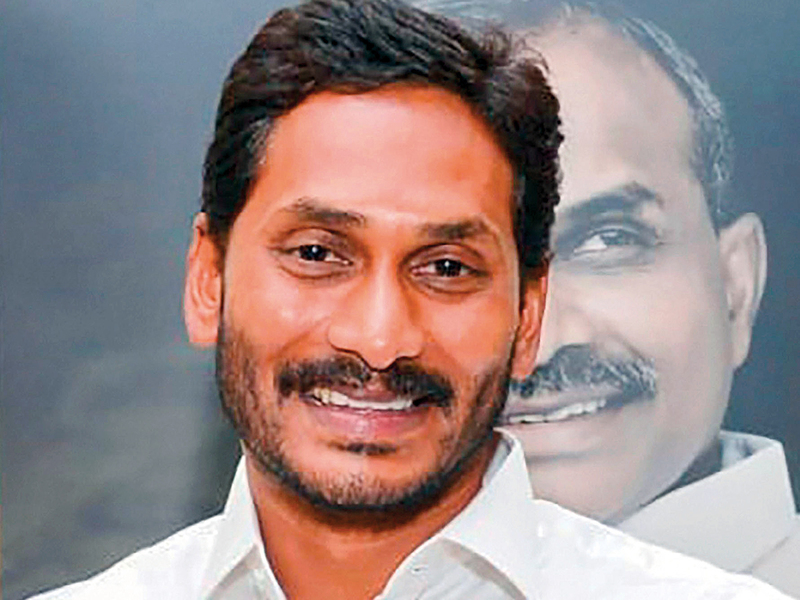 That would be advantage Jagan Mohan Reddy, who launched a blistering campaign against the TDP government’s record in governance and corruption in the run-up to polling for the Lok Sabha and Assembly seats in Andhra Pradesh on April 11. If indeed Jagan has a role to play in a post poll scenario, who would he stand with? The answer to that is not a foregone conclusion. The YSR Congress Party has a strong base among Muslims, and he is Christian. But, that might not place him automatically in the anti-BJP camp. Jagan has a number of criminal and other cases against him — according to his affidavit, he faces 31 criminal cases, seven cases under the Prevention of Money Laundering Act (PMLA) and 11 cases under the Prevention of Corruption Act pending against him. If Modi were to ride back to power, the YSR leader might be reminded of these pending cases against him. On the public forum Jagan has tried to provide clarity, saying he will back the party that provides special category status to Andhra Pradesh — a promise made by the UPA-II government when Andhra Pradesh was divided to create Telangana. That might not entirely hold when all the chips are laid on the table.